Photo Studio clear, easy to customize WP template. 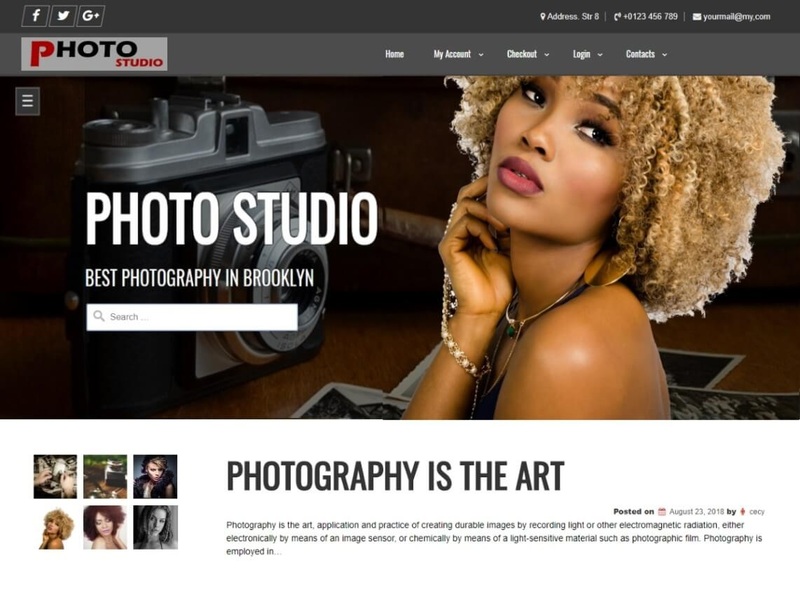 Photo Studio is a modern multi-purpose HTML5 theme. The theme is excellent for a photography, blog, newspaper, images, photos, publishing, news, blog, business, portfolio or other editorial websites. The theme has Header Contacts, Microdata(schema.org), Social Icons, Footer Copyright. To learn more about the theme please go to the theme URI and read the documentation.